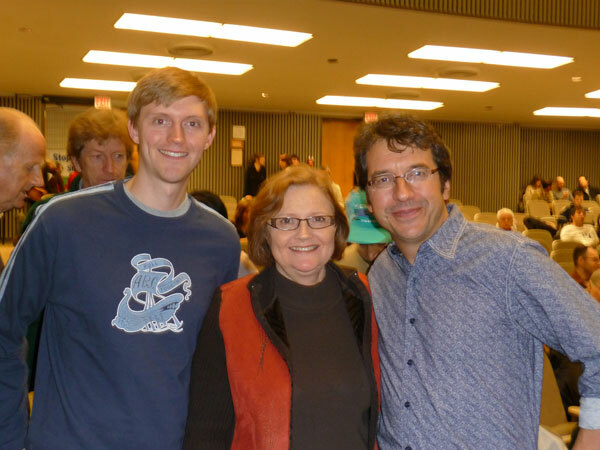 Chris Tindal and Mardi Tindal with George Monbiot in Toronto. To the left of the frame, John Ralston Saul and R.H. Thompson may have gotten a bit shoved out of the way. I went to hear George Monbiot speak on Saturday in Toronto, and was excited to see that he was there in person. Monbiot is one of the best (and best-known) climate change journalists in the world. A few years ago he swore off flying because of its impact on our planet, and since then has made most of his appearances via video conference. He is physically in Canada this week, however, because our “government’s behaviour in the (UN climate) talks is so destructive and the development of the oil sands is so damaging to global efforts to prevent climate breakdown” that he felt compelled to pay us a visit. ps. I will add that all of this has a flip side. If we do clean up our act and provide leadership, we can, as Stephen Lewis says, quickly restore our reputation on the international stage while simultaneously strengthening our domestic economy by becoming more efficient and competitive. That’s our choice: lead of follow, help or hurt, become renowned or repudiated. The 40th Moderator of the United Church of Canada Mardi Tindal (yes, my mom) addresses the 350.org climate change rally at Queen’s Park in Toronto on October 24, 2009. I shot this on a $200 Flip video camera and edited it using iMovie, so go easy on my videography skills.